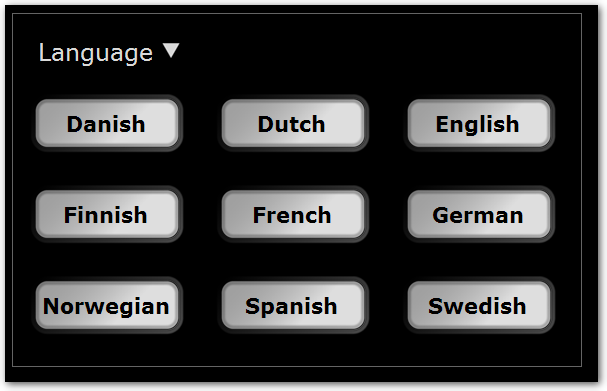 At the first time installation the main language can be selected. NOTE! The language can only be selected at first time installation, to change the language a reinstall need to be done. The selected language is only available on the main user views and not in the setting views. Select the language and press NEXT to proceed to the next installation view to setup the Activio License.